Winning cases, legal research and spotting defects in opponent’ legal arguments. I have acted for central and local government bodies and several large housing organisations in property disputes. 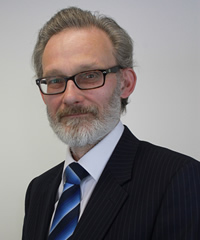 I have represented clients in cases dealt with in the Court of appeal, including cases relating to an inheritance dispute, the correct method of assessing damages for trespass (MOD v Thompson), and the mutual enforceability of positive covenants (Thamesmead Town v Allotey).